Indian automobile segment awash with full of options in each category like hatchback, sedan, SUV, etc out of which hatch is the most primary choice among the buyers. Basically, this is the category where every buyer is looking for the average power, performance and styling as well as some advanced interior features. Well, there are number of choices available in the market, even though it is very hard to pick a best one. Nothing to worry about that, here is the list of some hatchbacks with best interiors that lie under the price tag of INR 10 Lakhs. Much like its name, this hatchback is quite vivacious in terms of cosmetics and appearance. As soon as you enter the cabin, you will be greeted with a Black & Beige interior. It is also loaded with a wide variety of amenities like automatic air conditioning, touch screen interface with LCD display, 5-inch color screen for the rear view camera, and an audio system with Bluetooth connectivity. Moreover, the cabin is extremely spacious with ample amount of legroom and headroom. The seats are highly comfortable and can be adjusted in various ways in order to lie down while traveling to far off places. 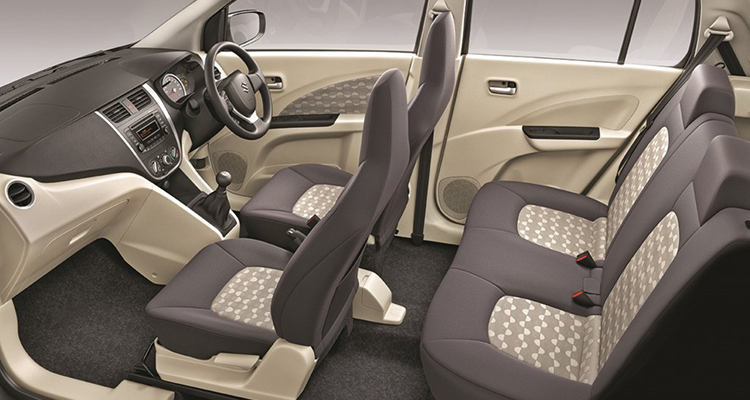 If you wish to have a car with rich elements inside, Jazz would be the perfect choice for you. It goes without saying that any best category of cars would be incomplete if we exclude a Maruti Suzuki offering in it. Under the automaker’s brand Celerio is one such car that can cater your needs of a feature loaded yet comfortable driving experience. 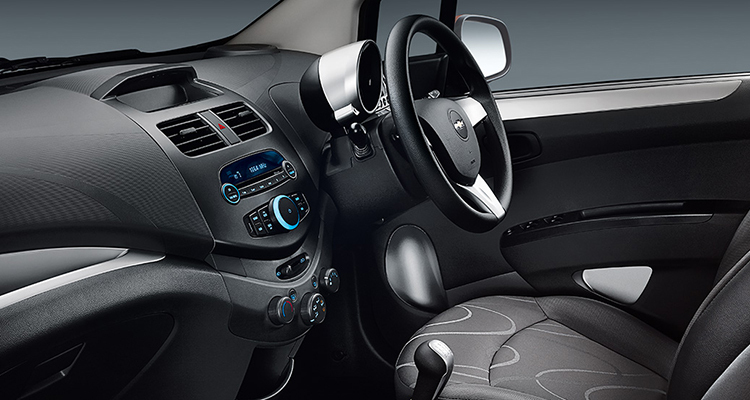 The interior flaunts a Black & beige layout along with dull silver accents that run across the centre console. In terms of ergonomics, the car scores full marks as everything is located at the perfect spot. The instrument panel is a 3-pod unit housing a tachometer, speedometer, and MID display. Moving on, the centre console contains integrated 2DIN music system, and air conditioning vents. The rear seats are slightly higher than the front seats and can be reclined backwards. 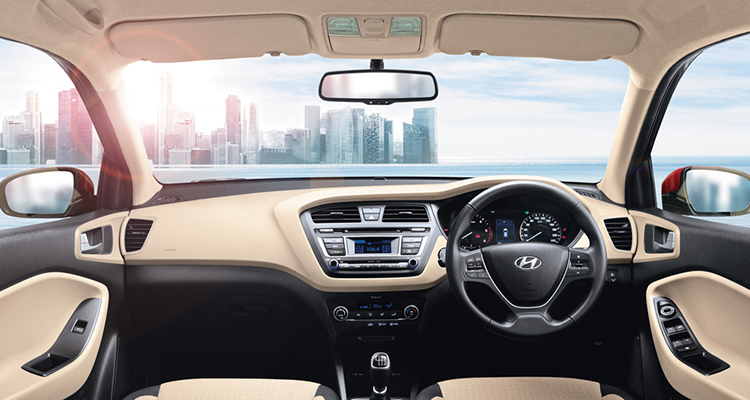 Elite i20 is one of the finest hatchbacks in India in terms of looks and its styling. 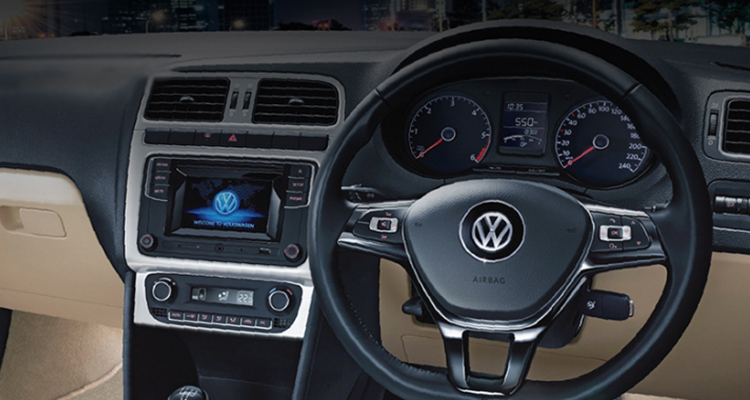 It’s redesigned dashboard with beige-black amalgamation will leave you to spellbound. 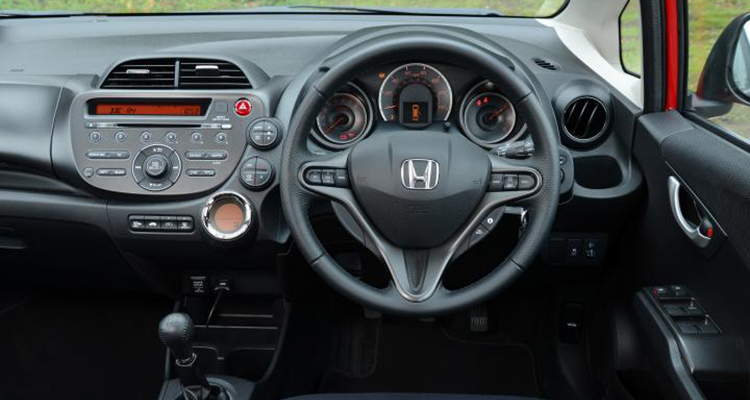 The cabin is also well appointed with a touchscreen infotainment system, lane change indicator, steering adaptive parking system, rear air-con vents, and inbuilt service reminder. What is more, the audio system is also complimented with 1 GB internal memory. When you will sit behind the steering wheel, the mounted audio and Bluetooth control will let your eyes stay on the roads. Furthermore, it also houses climate control system, cruise control, gear shift indicator, reverse parking assists, cooled glove box, rear view mirror and a boot capacity of 285 litres. Presently, the carmaker is working on a facelifted version of the Beat that will amaze you with its modish silver interior and some bewitching features. The dashboard is dominated by the centre console having bits of blue illumination which magnifies its beauty. At the same time, centre mounted audio control will pull your eyeballs next to the steering wheel. Besides, the car also houses the 60:40 split seat configuration in the rear and height adjustment facility to the driver’s seat. Moreover, an infotainment system is there to make your more journey more delightful. The instrument panel also carries a tachometer, a digital clock, and trip meter. Some of the regular attachments are cup holders, bottle holders, height adjustable headrests, manually adjustable outside mirrors, tailgate opener, fuel lid opener, etc. A 170 litre of boot space can be expanded by folding the rear seat. The list of best interior hatchback cars would be unaccomplished if we miss the name of Volkswagen Polo from it. The dual tone color dashboard integrated with a piano black finished centre console will let your eyes get stuck for a moment. The sprint of the excitement will be bounced on the next level when you will get to see an all-new dynamic touchscreen infotainment system. It is also equipped with MirrorLink connectivity to unite your smartphone into the system as well as for navigation. The cabin has enough legroom to stretch your legs where a six feet taller can easily lean over and certainly not going to complain about a single thing. The instrument cluster consists of a speedometer, an MID, and a tachometer. Besides, it also comes with rear view mirror, ambient lights, and a cooled glove box. It is also offering you a best in class boot space of 294-litre.